Companies in Japan have a little more than six weeks to revamp their computer software to respond to the country’s first era change in the digital age when a new Emperor is enthroned on May 1. The Ministry of Economy, Trade and Industry, or METI, is calling on companies to check where they use the Japanese calendar in their computer systems, modify necessary programs and carry out tests to detect potential problems. The government will announce on April 1 the name of the new era, which will begin on May 1 in line with Crown Prince Naruhito’s accession to the throne. According to the Information-Technology Promotion Agency, an independent administrative agency, systems using the current Heisei and other era names require program modifications. Software and computer systems incompatible with the era change are expected to cause problems in placing or receiving orders online. Excel and other spreadsheet software may become unable to recognize the Japanese calendar. METI expects companies to conduct not only in-house tests but also trials with their business partners, as unsupported external systems connected online could cause trouble. On Thursday, the ministry said that 20 percent of companies surveyed have yet to check the use of the era-based Japanese calendar in their information systems. In a joint seminar with Microsoft Japan Co. in Tokyo in February, the ministry urged companies to be well prepared for the era change. “You have to be careful as information systems have greatly developed, increased in scale and become complicated, compared with the previous era name change in 1989,” a ministry official told some 200 participants in the seminar. Microsoft Japan has started offering a program to update its Windows operating system and set up a special website to draw users’ attention to the era change and explain necessary procedures. The company is scheduled to provide programs compatible with the new era name in April. “We want users to update programs anyway,” a Microsoft Japan official said. The name of the new era is a closely guarded secret and will be formally announced April 1, kicking off the country’s first Imperial succession in more than three decades. By a coincidence of timing and tradition, a character from the prime minister’s surname is being discussed as a contender to describe the new era. 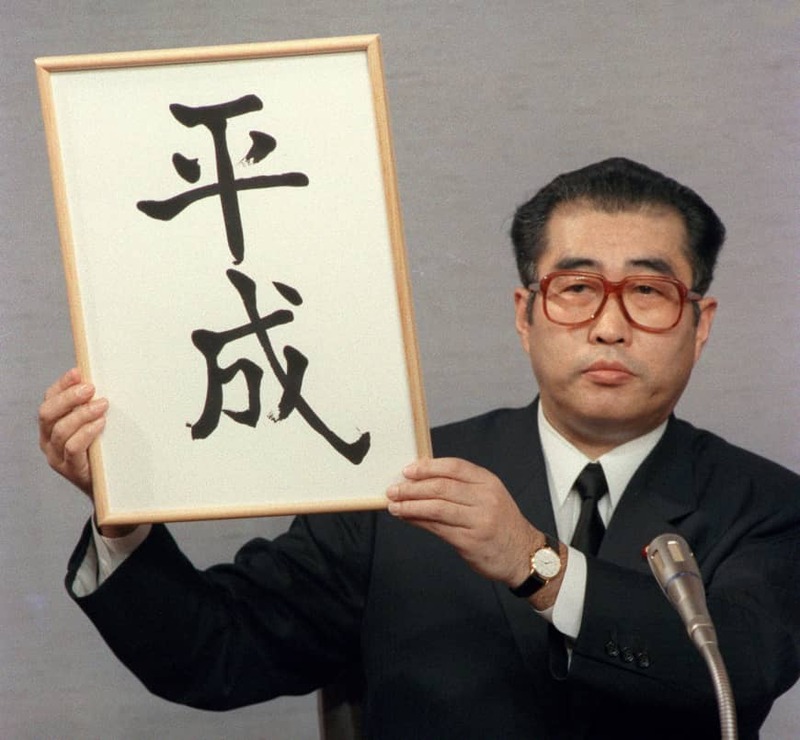 “Peace” has been an enduring theme of era names over the centuries, with the current epoch dubbed Heisei, which can be translated as “achieving peace” and the prior one called Showa, or “enlightened harmony.” The first kanji character of Abe’s surname — an — connotes peace and stability. Still, using the character in the era name could be politically awkward for Abe in tradition-conscious Japan, where the Emperor is viewed as above politics. Any appearance that Abe was capitalizing on the process to burnish his own legacy could raise questions about whether he was overstepping his bounds as he prepares to become Japan’s longest-serving prime minister in November. The name is based on a concept proposed by the top spokesman for Abe’s government, Chief Cabinet Secretary Yoshihide Suga, and then reviewed by a panel of experts and the speakers of both houses of the Diet, which Abe’s party controls. The Cabinet gives final approval.